The life of a North Madras youngster changes completely when he meets two local gangsters. In Tamil language with English eubtitles. 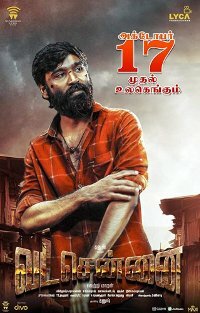 Dhanush, Aishwarya Rajesh, Andrea Jeremiah, Ameer Sultan, Samuthirakani, Kishore Kumar G.